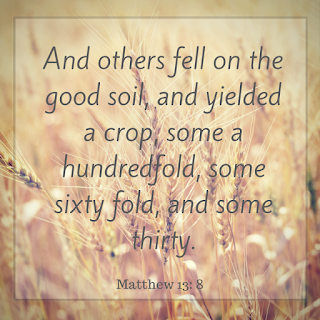 Twice in this parable Jesus talks about when the seed falls on good soil it will yield a crop. And oh, do I want to have good soil so that something can grow in me! Something that reaches others and points straight to Jesus. What's so interesting to me is that Jesus goes on to talk about the size of the crop: some a hundredfold, some sixty, and some thirty. Those are the words that stopped me this time around. You see, we all have potential to bear fruit. 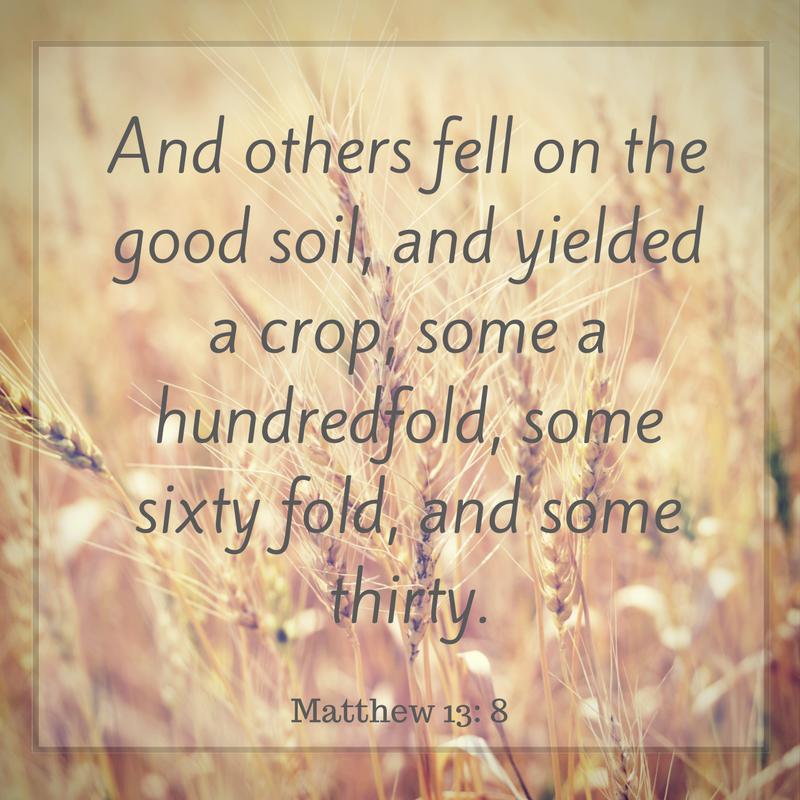 To haul in a harvest for Christ. We all were born with a purpose woven uniquely into us. But not all of us were created to have the same reach. And that's okay! In fact, that's exactly God's design. Unfortunately, in this day and age we play the comparison game all too often. We look to the side and see someone else's reach, the size of the platform they're speaking from, the diameter of their circle of influence; and we think if it's larger than ours then what they've been called to do is vastly more important. Such a good reminder to STOP comparing myself to others. It's so hard sometimes to feel less than. Thank you, my friend.